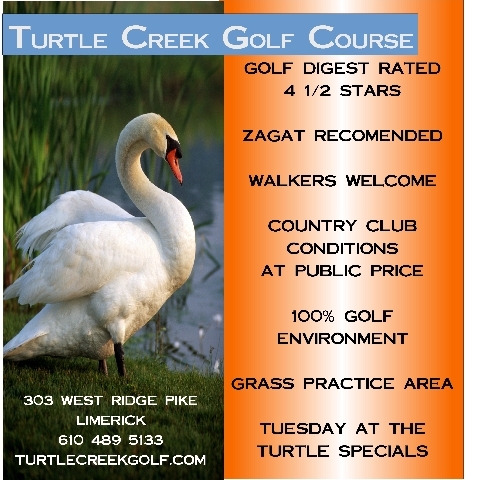 Turtle Creek Golf Course has been given 4 1/2 stars by Golf Digest Best Places to Play! Over 6000 courses in North America were evaluated and Turtle Creek was one of only 2 courses in the area to receive this honor! - This track has "the best turf of any course in the northeast," according to one reader. - Turtle Creek is a "challenging course" with "great fairways" and "huge greens." - It's a "course any golfer would enjoy playing." - "Playable for the average golfer.